26 people have been confirmed dead so far, according to Gov. Greg Abbott. 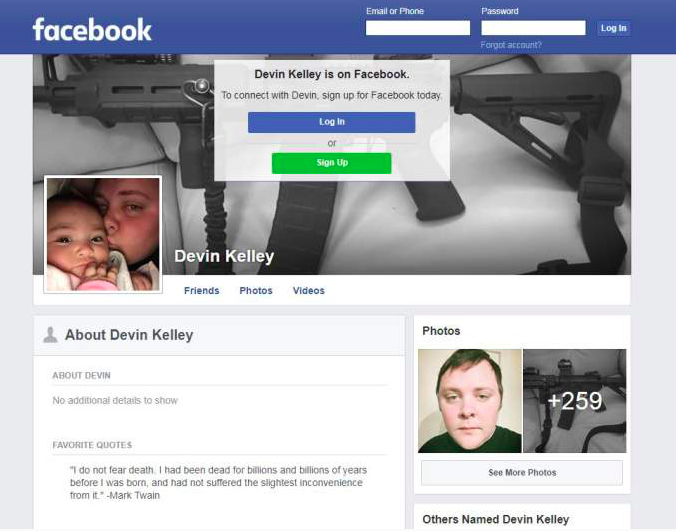 Devin Patrick Kelley has been identified as the gunman who killed at least 24 people at a church in Texas, a U.S. official tells The Daily Beast. 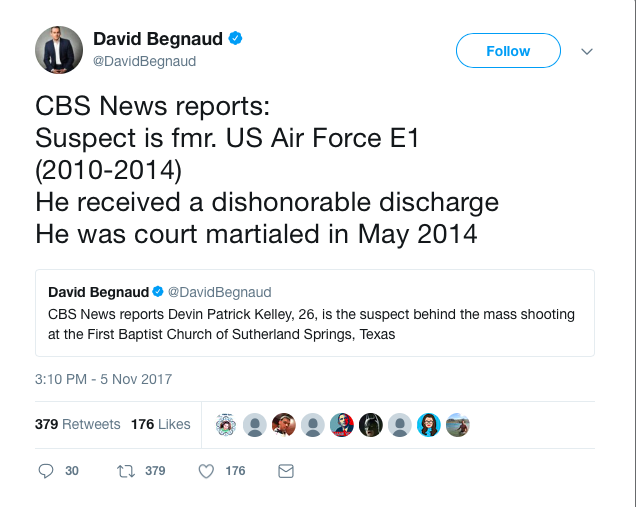 Kelley, 26, was a resident of New Braunfels, a suburb of San Antonio, according to public records. Kelley was married and Kelley’s mother-in-law listed a P.O. box in Sutherland Springs as a mailing address. San Antonio police reportedly raided Kelley’s home on Sunday evening. 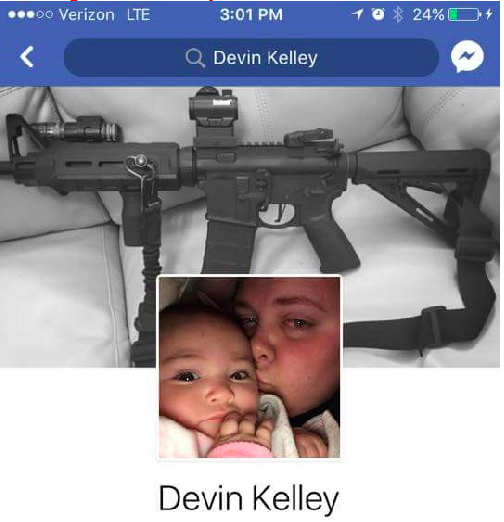 A LinkedIn account appearing to belong to Kelley describes him as serving in the U.S. Air Force from his 2009 high-school graduation until 2013, after which he briefly taught at a summer Bible school. 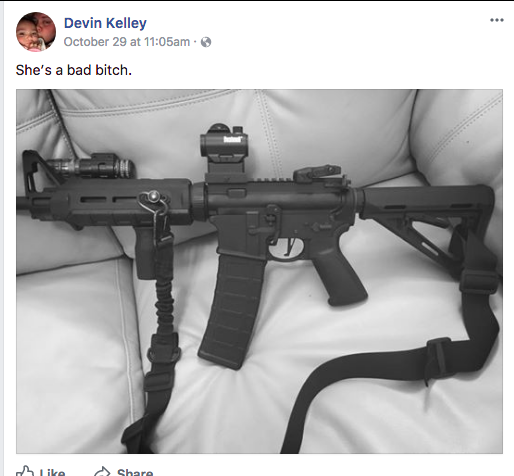 On a now-deleted Facebook account, Kelley recently displayed an AR-15 style gun, ABC News reports. 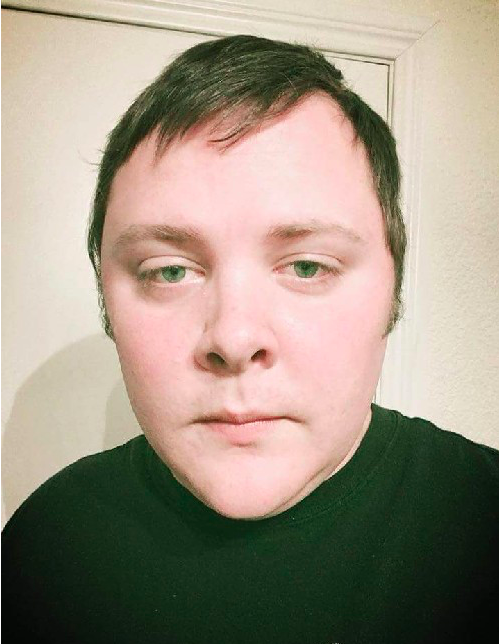 Suspect in all black tactical gear. Stopped by local with a rifle. Here’s a link to his LinkedIn page which hasn’t been taken down yet. And his saying on his Facebook was he does not fear death. Interview with neighbor who helped chase down the shooter. Domestic violence. 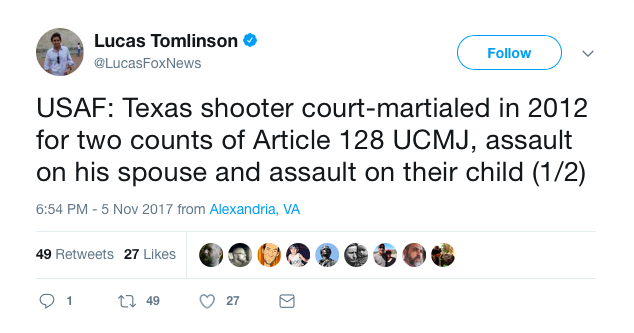 That also should have stopped him from getting a gun.